Your wedding invitations are the first introduction to the day that your guests will see. They set the scene, give your guests a taster of the colour swatch, provide useful information and generally introduce your guests to the proceedings. Quite an important part of the wedding then, wouldn’t you say? So how much should you spend and can you ‘do them yourself’? Well, the answer to the first part is more about your budget than anything else. However, you can have your invitations made for you for as little as $8.00 each – to include all your inserts, personalisation, envelopes, etc. For 45 invitations that’s just $360 – hardly a Kings ransom when compared to the entire price of your wedding! Can you ‘do them yourself’? Well, of course you can! 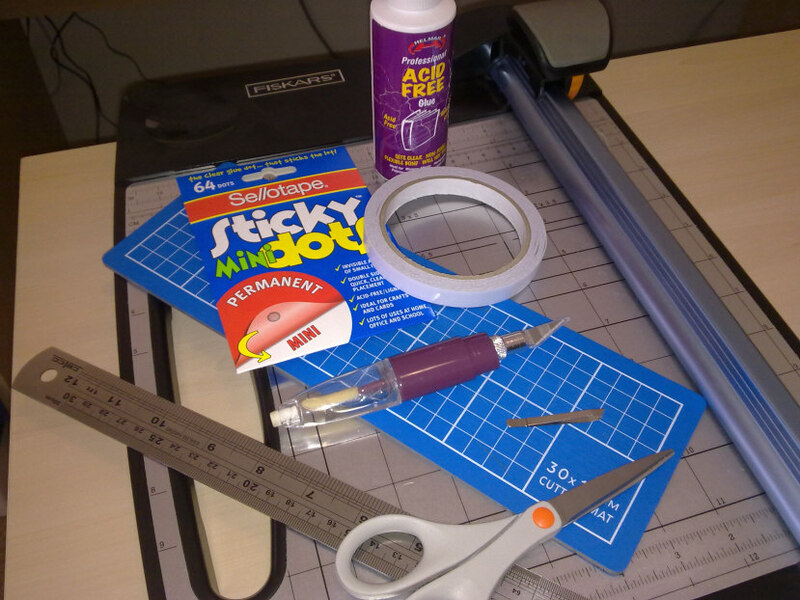 Most large craft/stationery stores these days will give you different options for DIY. The cost will vary depending on how much DIY you want to do. For example you can start with just the raw materials and do all the cutting, printing & sticking yourself, or you can have most of the materials cut to size for you. Some stores will even do the printing for you! The cost though can still be in the region of $5.00 for each invitation and then you have to factor in your time to assemble the invitations and whether you need to purchase/hire specialist equipment. Colour laser printer – most quality cardstock and paper will not print well in inkjet printers. Now you need to consider the time element. Making up the invitations once everything is printed and cut will probably take around 10-15 mins per invitation. Not bad, but consider how long it will take to measure, cut and print everything … This is the longest and fiddliest part of the job. The laying out of the printing and making sure that the wording is absolutely perfect takes time – you don’t want to print out all your invitations on your best paper, only to discover that you’ve misspelt the venue! Measuring each of those squares and cutting them out, then attaching the glue/tape, sticking them together and placing onto the card front – takes time, and lots of it. Cutting out those seashells – painstaking! There’s no denying the sense of satisfaction you get from seeing 45 completed invitations laid out in front of you ready to go – it’s my favourite part of the job! But do be sure that the work involved is not going to become too overwhelming for you before you leap in. My best tip? Take your time and practice, practice, practice with plain white paper before you start on the good stuff. 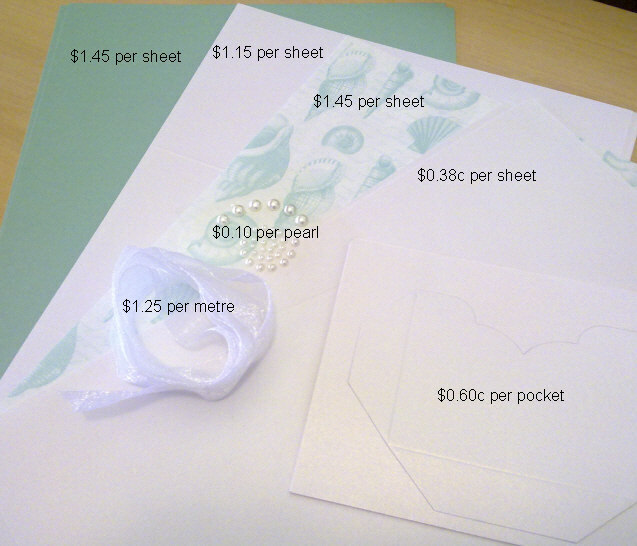 Oh, and if you’re one of those who rings me up and says “I’m not paying $7.00 for something people are just going to throw away”, then you should probably go straight to K-Mart and buy a set of preprinted invitations! Before you do that though I’d just like to say that I have kept every single wedding invitation that I have received (along with the thankyou’s, bonbonniere tags, etc) – they come from my friends and family, people I love and value, who want me to share their special day and I cherish that.